Welcoming to Monday Musings where there is nothing but Duke stuff to absorb. It is currently a good time to be a Duke Blue Devil fan with Mike Krzyewski in the heat of battle with Team USA in Rio to football being in full gear. 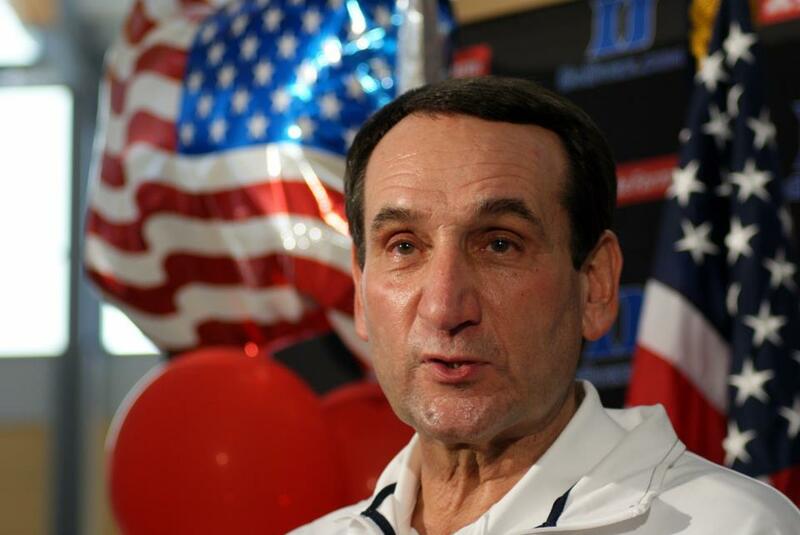 Mike Krzyzewski took over Team USA when it was at a low point and has since righted the ship. That's what leaders do. The Duke Basketball coach is in the midst of going for his third Gold Medal for the country which is more than a little impressive. It's a thankless position in a sense these days, especially if Team USA should lose. There have been some close calls to date and as we enter the medal round; some critics or haters are sharpening their teeth to gnash away from their armchair seat is there is a stumble. The reality that is not recognized is that this team has been together for a month. And there is no appreciation for how good the world is at a sport with teams who play together much more often, having strived to get better over time. No excuses, just facts. let's not forget players backing out at pretty much the last-minute not allowing for strategic planning. 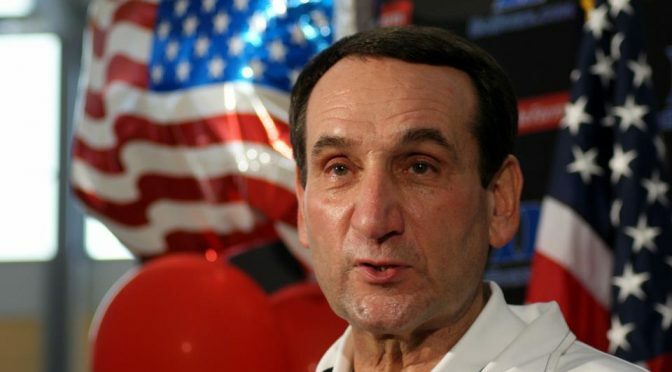 Coach K as he is known by most of us, has never lost in the Olympics. In my opinion, the players will rise to the occasion under his leadership in the coming days and the mission will be accomplished. Hopefully by then, people will realize the immense expectations the team has which in fairness comes with the territory. The man is closing in on his legacy where he helped those expectations come back to life, for before he took over, said expectation had been tarnished. Far away from the happening in Rio, the Duke Men's Basketball team is at work preparing for the upcoming season. Much like the situation above, Coach Mike Krzyzewski will be expected to win it all this season with a deservedly hyped team. Videos are coming out of Durham and Duke at breakneck speed building hype on this seasons talented bunch. The team has been under the watchful eyes of assistants Nate James and Jon Scheyer who are leading the team through varying drills. Pretty soon, you will see Grayson Allen adorning preseason magazine covers per my sources. Duke will be good this year - very good, if not nasty good. With key veterans like Allen., Matt Jones, Amile Jefferson and Luke Kennard returning, you have a solid nucleus to teach the talented newcomers. And those newcomers can play. Already showing off their skill set in drills are Jayson Tatum, Frank Jackson,, Marques Bolden, Javin DeLaurier, Jack White and company. Oh, and Harry Gile is coming along as well. Anyhow, the official schedule will release by the ACC in the next week or so. And for what it is worth you will see that the team has plenty of challenges. In fact, the ACC road schedule is brutal and if you have been paying attention, the league will be loaded. Oh how times have changed. Duke Football recruiting is currently ranked 18th in the country by ESPN with concern to next seasons class. 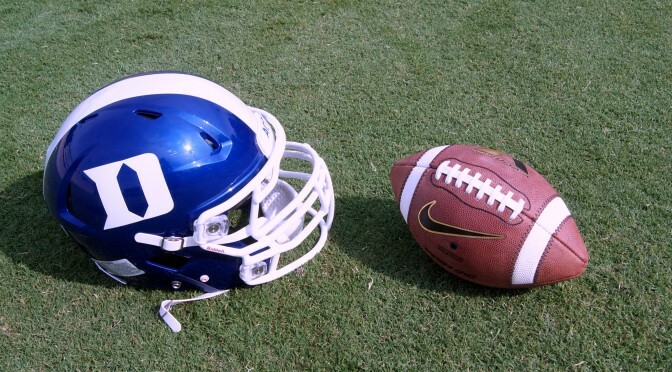 The health of the program is on solid footing for the future as changes are being worked on a breakneck speed in Wallace Wade Stadium for the coming season. From my understanding, some of the renovations are a little behind or have had to be altered, bit fans will get the gist of what is to come when Duke kicks off the season in 18 days versus NCCU. But when you see some possible delays in the finished product, remember that the foundation is solid under Coach David Cutcliffe's watch. This off-season, Duke worked hard on what they called ''The Year of the Beast,'' in an effort to get stronger as a team. This consisted of some serious weight training which will help many younger players as they enter the season. Duke is one of the most inexperienced teams in the league this year with concern to returnees, but this is a team that has been recruiting well. The schedule is brutally tough, but a fifth consecutive bowl bid is within reach and it will be fun to see how the team responds to the challenge. Early in preseason drills, we see Thomas Sirk rehabbing his Achilles tendon injury in as fast a way ever. His leadership is evident in practices despite him not being at full strength just yet. It is also worth noting that the run game looks solid with veterans Jela Duncan and Shaun Wilson, not to mention some talented newcomers. The key for Duke this season will be the play up front on both offense and defense. New coaches are working with the players in this area where several new guys will be expected to contribute and start right away.